We are considering a second session on 28th February. We are delighted to be hosting a special wallpaper study day and workshop with the Wallpaper History Society in our Bath showroom . 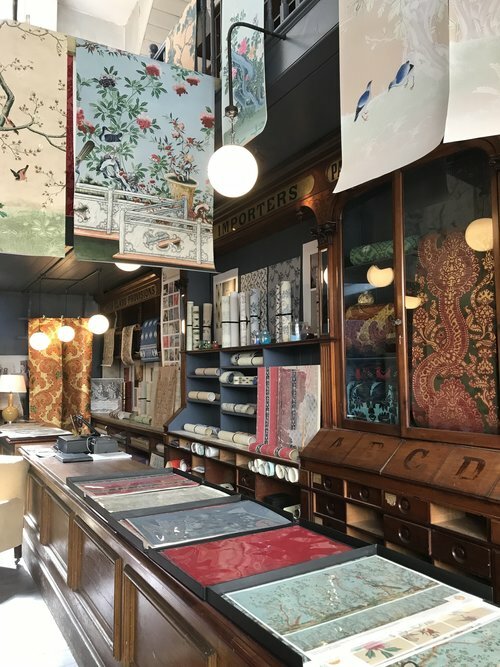 For the first time, Allyson McDermott, one of the world’s foremost experts on the conservation and recreation of historic interiors, will showcase her extraordinary collection of wallpapers to the public. The new showroom, situated in Margaret’s Buildings in central Bath, is housed in a beautiful listed Georgian building which retains many of its original period features and which provides a stunning backdrop to Allyson’s extraordinary collections of Chinoiserie, block printed, stencilled, flocked, gilded and handpainted wallcoverings.